 There are many special observances and traditions when it comes to the High Holidays. To learn about the various customs observed please scroll down. --- How is Rosh Hashanah Observed? Click here for a listing of Rosh Hashanah's corresponding secular dates for the upcoming years. The two-day festival of Rosh Hashanah is observed on the 1st and 2nd days of Tishrei. In Hebrew, Rosh Hashanah means, literally, "Head of the Year," and as its name indicates, it is the beginning of the Jewish year. The anniversary of the creation of Adam and Eve, it is the birthday of mankind, highlighting the special relationship between G‑d and humanity. The primary theme of the day is our acceptance of G‑d as our KingThe primary theme of the day is our acceptance of G‑d as our King. The Kabbalists teach that the renewal of G‑d's desire for the world, and thus the continued existence of the universe, is dependent upon this. We accept G‑d as our King, and G‑d is aroused, once again, with the desire to continue creating the world for one more year. Much of the day is spent in synagogue. G‑d not only desires to have a world with people, G‑d wants an intimate relationship with each one of us. In addition to the collective aspects of Rosh Hashanah worship, each man and woman personally asks G‑d to accept the coronation, thus creating the bond of "We are Your people and You are our King." The central observance of Rosh Hashanah is the sounding of the shofar, the ram's horn. The shofar is sounded on both days of Rosh Hashanah (unless the first day of the holiday falls on Shabbat, in which case we only sound the shofar on the second day). The sounding of the shofar represents, among other things, the trumpet blast of a people's coronation of their king. The cry of the shofar is also a call to repentance; for Rosh Hashanah is also the anniversary of man's first sin and his repentance thereof, and serves as the first of the "Ten Days of Repentance" which will culminate in Yom Kippur, the Day of Atonement. Altogether, we listen to 100 shofar blasts over the course of the Rosh Hashanah service. Click here for more about the shofar. We eat a piece of apple dipped in honey to symbolize our desire for a sweet year, as well as many other special foods. All have special significance and symbolize sweetness, blessings, and abundance. Click here for more about the special Rosh Hashanah foods. We bless one another with the words Leshanah tovah tikateiv veteichateim, "May you be inscribed and sealed for a good year." We leave our old shortcomings behind us, thus starting the new year with a clean slateWe go to a lake, river or to the sea and recite the Tashlich prayers, where we symbolically cast our sins into the water, in evocation of the verse, "And You shall cast their sins into the depths of the sea." We leave our old shortcomings behind us, thus starting the new year with a clean slate. Click here for more aboutTashlich. And as with every major Jewish holiday, women and girls light candles on each evening of Rosh Hashanah and recite the appropriate blessings. (Click here for candle-lighting times for your location.) After the prayers each night and morning, we recite Kiddush on wine, make a blessing over the challah, and enjoy a festive repast.